The following terminology applies to these Terms and Conditions, Privacy Statement and Disclaimer Notice and any or all Agreements: "Client", "You" and "Your" refers to you, the person accessing this website and accepting ESL's terms and conditions. "The Company", "Ourselves", "We" and "Us", refers to Electronic Systems Labs or ESL. "Party", "Parties", or "Us", refers to both the Client and ourselves, or either the Client or ourselves. All terms refer to the offer, acceptance and consideration of payment necessary to undertake the process of our assistance to the Client in the most appropriate manner, whether by formal meetings of a fixed duration, or any other means, for the express purpose of meeting the Client's needs in respect of provision of the Company's stated services/products, in accordance with and subject to, Florida, US Law. Any use of the above terminology or other words in the singular, plural, capitalisation and/or he/she or they, are taken as interchangeable and therefore as referring to same. Client and their respective Client Records may be passed to third parties. However, Client records are regarded as confidential and therefore will not be divulged to any third party, other than [our manufacturer/supplier(s) and] if legally required to do so to the appropriate authorities. Clients have the right to request sight of, and copies of any and all Client Records we keep, on the proviso that we are given reasonable notice of such a request. 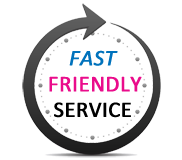 Clients are requested to retain copies of any literature issued in relation to the provision of our services. Where appropriate, we shall issue Client's with appropriate written information, handouts or copies of records as part of an agreed contract, for the benefit of both parties. ESL shall not be responsible for and disclaims all liability for any loss, liability, damage (whether direct, indirect or consequential), personal injury or expense of any nature whatsoever which may be suffered by you or any third party (including your company), as a result of or which may be attributable, directly or indirectly, to your access and use of the website, any information contained on the website, your or your company’s personal information or material and information transmitted over our system. In particular, neither ESL nor any third party or data or content provider shall be liable in any way to you or to any other person, firm or corporation whatsoever for any loss, liability, damage (whether direct or consequential), personal injury or expense of any nature whatsoever arising from any delays, inaccuracies, errors in, or omission of any share price information or the transmission thereof, or for any actions taken in reliance thereon or occasioned thereby or by reason of non-performance or interruption, or termination thereof. This entire website, copy, images, logos, indicia, text, content, and unique method of showcasing products is copyright 2000-2014 ESLpc.com, All trademarks appearing herein are acknowledged. Permission to use documents delivered from this World Wide Web site and/or server and related graphics is restricted. 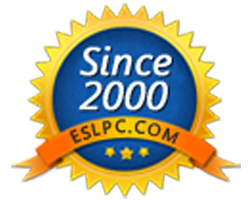 The name of ESLpc.com, or any of the above trademarks or logos may not be used in advertising or publicity pertaining to distribution of this information without specific, written prior permission. The information contained in this website is subject to change without notice. We are not responsible for typographical, technical, or descriptive errors of products herein. IN ALL CIRCUMSTANCES ESLPC.COM'S MAXIMUM LIABILITY IS LIMITED TO THE PURCHASE PRICE OF THE PRODUCTS SOLD. ESLPC.COM SHALL NOT, UNDER ANY CIRCUMSTANCES, BE LIABLE UPON A CLAIM OR ACTION IN CONTRACT, TORT, INDEMNITY OR CONTRIBUTION, OR OTHER CLAIMS RELATING TO THE PRODUCTS IT SELLS WHICH EXCEEDS THIS LIABILITY LIMIT. ESLPC.COM SHALL NOT BE LIABLE FOR THIRD PARTY CLAIMS FOR DAMAGES AGAINST THE CUSTOMER, OR FOR MALFUNCTION, DELAYS, INTERRUPTION OF SERVICE, LOSS OF BUSINESS, LOSS OR DAMAGE TO EXEMPLARY DAMAGES, WHETHER OR NOT ESLPC.COM HAS BEEN MADE AWARE OF THE POSSIBILITY OF SUCH CLAIMS OR DAMAGES.